MyPhotoIndex is a free photo organizer. 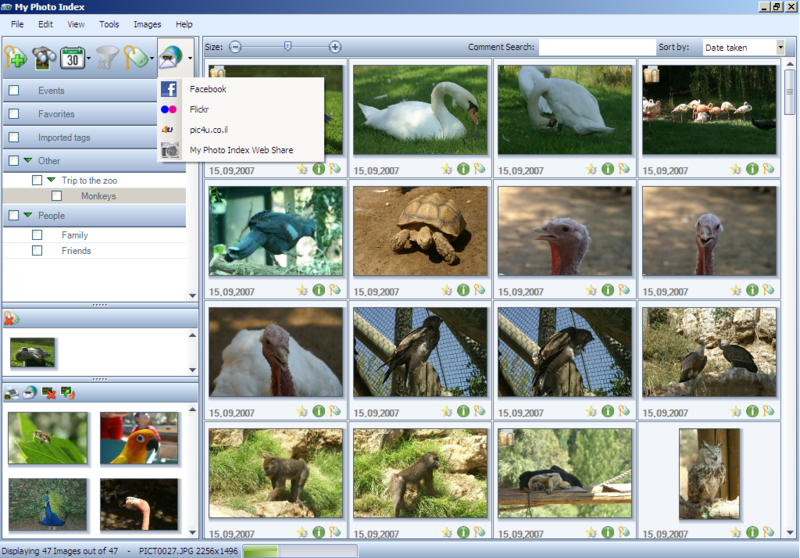 It focuses on image tagging and cataloging and offers a clear & simple user friendly interface. the feature list is limited in order to maintain an easy to use photo cataloging application. It handles major file types as well as Avi clips and can read and convert RAW image formats, MyPhotoIndex can help you hide private images from prying eyes, and let you easly share your images with family and friends. Not bad. But PhotoMesa is better. Picasa is better than both even if i do prefer the PhotoMesa interface. All in all though nicely presented but nothing too exciting here. Fast, good-looking program. Allows me to look through and index photos, easy interface, stable. I have used PhotoExplorer and Picassa, which have different features, but this beats both of them easily for what its core function is.